FORMER TEACHER HAD MOTIVE. 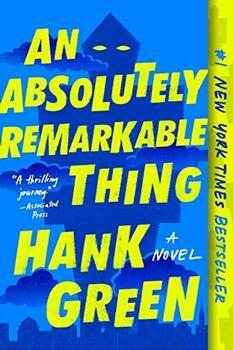 Recently suspended for a so-called outburst, high school English teacher Anna Crawford is stewing over the injustice at home when she is shocked to see herself named on television as a suspect in a shooting at the school where she works. Though she is quickly exonerated, and the actual teenage murderer identified, her life is nevertheless held up for relentless scrutiny and judgment as this quiet town descends into media mania. Gun sales skyrocket, victims are transformed into martyrs, and the rules of public mourning are ruthlessly enforced. Anna decides to wholeheartedly reject the culpability she's somehow been assigned, and the rampant sexism that comes with it, both in person and online. A piercing feminist howl written in trenchant prose, How to Be Safe is a compulsively readable, darkly funny exposé of the hypocrisy that ensues when illusions of peace are shattered. With some time to kill, the shooter parks his car outside One Brother's Pizza and he thinks: It's just a slice, a slice won't slow me down. He thinks: A slice may even be good for me. He thinks: This is a choice, I'm making a choice and nobody in the world has any say over whether or not I make this choice. Last night, he forgot to eat. Even after a full month of planning, there were loose ends to tie up, there were final considerations. He hadn't wanted to leave a note, but while he lay in bed not sleeping there were so many words in his mind desperate to escape and he could feel them crawling like cockroaches out of his mouth and so he decided to record them in his notebook. Later they will find his notebook and call it a manifesto. The media will try to analyze it and explain it, but they are dull and they cannot be trusted to understand. The novel is a scathing satire that pulls no punches in its examination of American life today. It shows no mercy, not to politicians–local and national–to religious groups, gun activists, the mainstream media, Internet trolls or even to men who, with the exception of Anna's brother and boyfriend, are excoriated throughout. At times, hope for the human race runs pretty thin, yet McAllister finds optimism at the end of Anna's year. How To Be Safe is a damning, yet also beautifully written book and Anna is a character to root for despite–and because of–her many flaws. (Reviewed by Kate Braithwaite). Though Anna's voice is strong, the novel falters in its depiction of the tragedy's fallout, often electing to skim the surface instead of going deep. Starred Review. Intensely smart. Sharply written. How to be Safe is a blistering indictment of America's insanity: our devotion to guns, our addiction to masculinity, our obsession with muscling our way toward an exceptionalism built upon our own inflated sense of self. 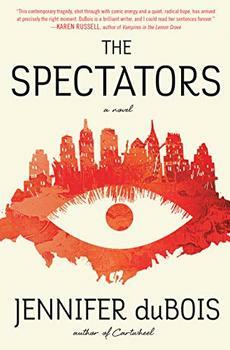 Tom McAllister is an exceptionally talented novelist: funny, biting, and bold. I'd be inclined to call him a satirist if not for the fact that every word in this novel is true. This is one of those books you don't know if you can read, and then after you don't know how you lived in a world without it... I can't believe this book was written by a man - but I'm so happy Tom McAllister wrote it. Tom McAllister's searing novel won't make you feel safe, but it will almost certainly make you feel connected to everyone who knows that everything must change. Vicious, hilarious, shocking and sad, How to Be Safe is biting political satire that levels its targets, soft and hard. Tom McAllister's vision of a violent, pious, hysterical America is worthy of Denis Johnson, Margaret Atwood and, yes, Mark Twain. In How To Be Safe, Tom McAllister charts a year in the life of his main character Anna and the rest of the community of Seldom Falls, in the aftermath of a mass school shooting carried out by a student. Anna, a teacher who was fired from the school, struggles to cope with many aspects of the tragedy, not least her feelings of guilt that she was not there when it happened. A sweeping, cinematic tale about a young woman who becomes an overnight celebrity before realizing she's part of something bigger, and stranger, than anyone could have possibly imagined. A shocking crime triggers a media firestorm for a controversial talk show host in this provocative novel - a story of redemption, a nostalgic portrait of New York City, and a searing indictment of our culture of spectacle.